Quick fyi: A couple weeks ago, the literary world gasped when a lost Sherlock Holmes story was apparently discovered in an attic in Scotland. Read it online here. 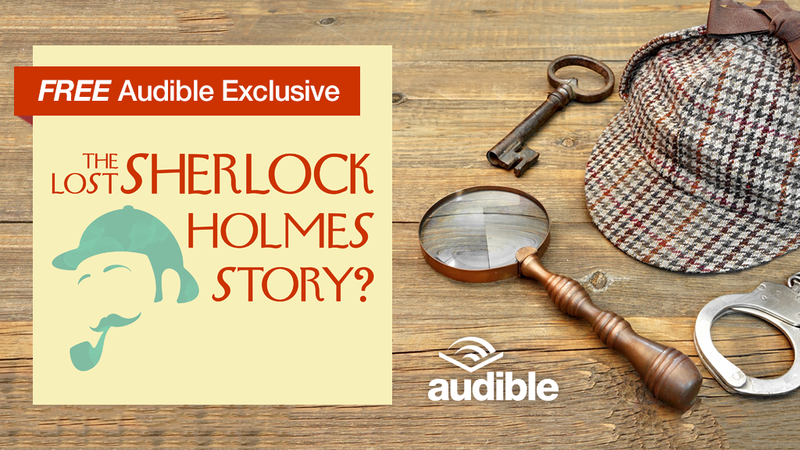 It hasn't been completely confirmed that the story came from the pen of Arthur Conan Doyle. Some experts still have their doubts. But even so, the fine folks at Audible have produced an audio recording of the story, narrated by the award-winning narrator/actor Simon Vance. You can download it for free at Audible (on the condition that you create a username and password). It's also worth noting that if you start a 30-day free trial with Audible, you can download two free audio books, including many contemporary bestsellers. At the end of the 30 days, you can join Audible's subscription service, or you can cancel. Either way, you can keep the two free audio books. Get more details here.